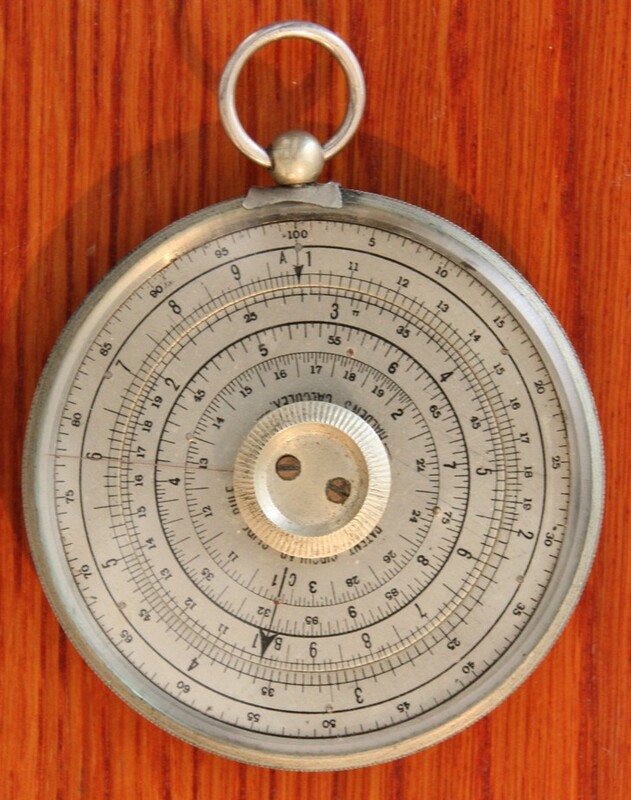 Halden's calculex circular slide rule, double sided, the inner disc is rotated by the thumb nut in the centre. The cursors are marked on the glass faces which can also be rotated. 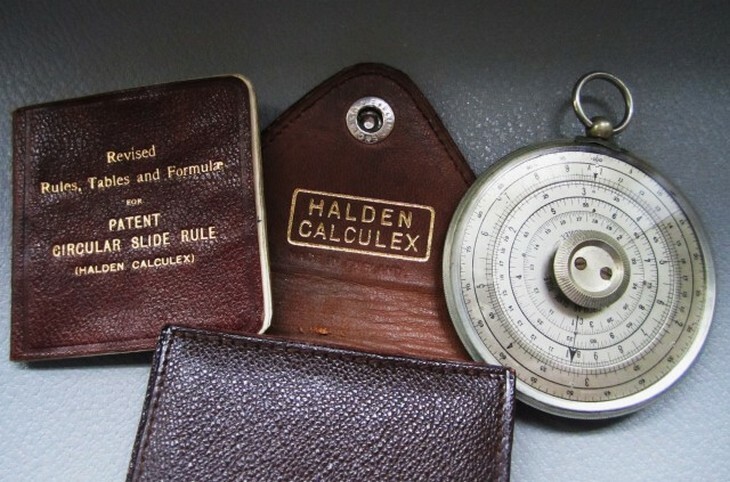 Mine is complete with leather wallet and a copy of 'Revised Rules, Tables and Formulae for Patent Circular Slide Rule (Halden Calculex)' - a 94 page booklet which is also housed in a pocket in the case. 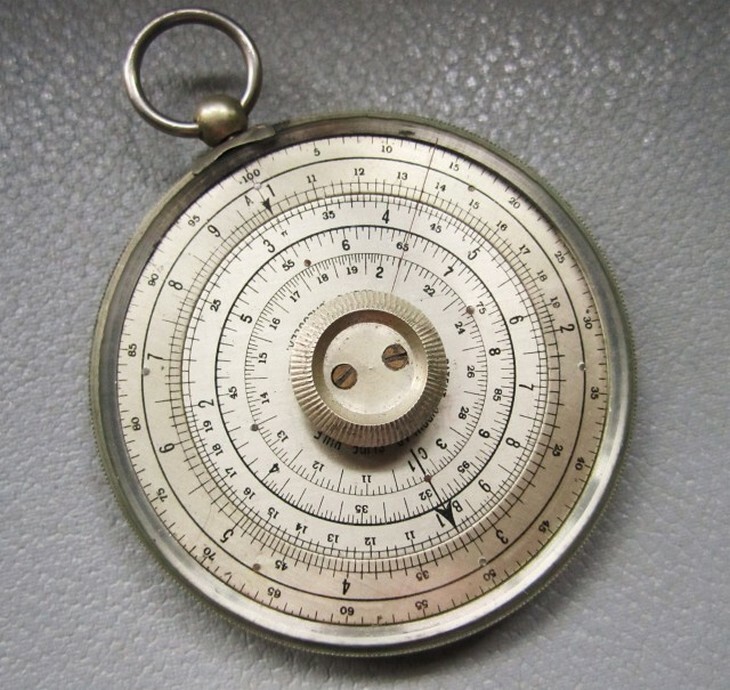 On one side there are A, B,& C scales, whilst on the other are A with B reversed. D Scale length: 126 mm. Significant digits: 2.7 to 3.7.